This week's draw is complete. This is a great time for you to join 'Your School Lottery' and help support our school. Spread the word and make sure everyone knows about Kerry's fantastic win and the positive effect the lottery has on YOUR school. If more people join, just imagine what the winnings could be and how each additional member could help support our school. We hope you can join us soon. 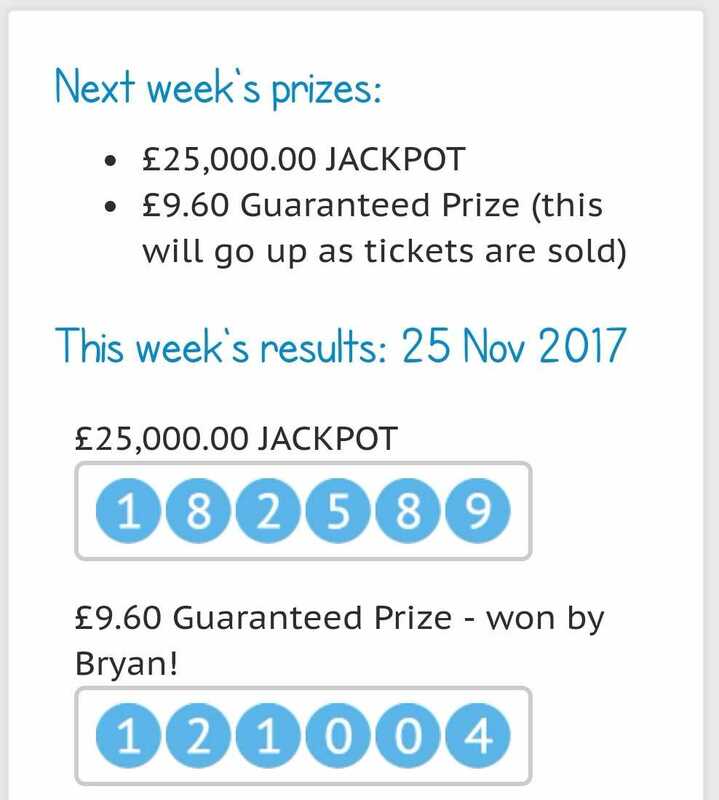 ​Well done to the winner of 'Your School Lottery'. Remember to join up so that you can be in with a chance of winning. Simply follow the link, find our school and sign up! It is that easy! Well done to the winner of 'Your School Lottery'. The Friends AGM was held on Monday, thank you to all who were able to attend and a big thank you again to all class reps, helpers, teachers and parents for all your support over the last 12 months. Also, thank you to the previous committee for their advice and support in our first year which has been invaluable. The full minutes of the meeting can be found on the Friends pages of the school website. We have had a few changes to the Committee for the coming year. Suzi Peake (Vice Chair) and Kate Meredith (Treasurer) have stepped down from their positions but will be continuing with their support as class reps, a special thank you to them both for all their hard work. We would like to welcome Sarah Davies (Vice Chair) and Christine Morgan (Treasurer) who were nominated and elected into these positions. I will continue as Chair and Laura Temple will continue as Secretary. Although we have these positions, we still rely on extra help at the events we run throughout the year so if you would like to be involved and are happy to help, please speak to any member of the committee. During the AGM, it was suggested that we should highlight some of the detail of what has been raised by Friends events over the last year and also what some of the funds have been spent on. *Christmas Fair – games, stalls, crafts including children’s baubles, secret shop, face painting/tattoos, and Rotary float with a special guest. * Freezy pop Fridays, Ice cream was a hit! The majority of the events we run are intended to raise as much money as possible but at the same time are fun for the children. The children also enjoyed a visit from Father Christmas with a special gift last year and this is something we are looking to do again this year. With Christmas just around the corner it is full steam ahead with preparations for the Christmas Fair, please join us at our next Friends meeting on Friday 13th October at 2.30pm in the school hall. This will be our first meeting as a new committee and the focus will be on discussing any new ideas for the Christmas Fair. Everyone is welcome and we would really appreciate your input. The Christmas Fair will be held after school on Friday 1st December 2017 so please save the date. Further details will follow for our usual Own Clothes days in return for donations. Finally, our Autumn Disco will be held on Friday 20th October 3.15pm-4.30pm, flyers / consent forms to follow. AGM opened at 5.45pm with welcome from Carol and thanks to those present for attending. Carol thanked everyone for their support over the last year, the first year of the new committee. There has been a great support from parents, class reps and teachers which has contributed to a successful year. Although a new committee was elected last year we have tried to stick with most of the traditional events and some new ones have been held too. A special thank you to the previous committee for their advice and support which has been invaluable. Carol explained that some of the current committee will be stepping down, Suzi as Vice Chair and Kate as Treasurer. Carol thanked them both for all their hard work and support over the last year. Carol confirmed that as per the Constitution we hope to elect new committee members as part of the AGM. Carol proposed to work through the meeting and then go through the nominations and agree a date for the next meeting so the new committee can commence their office. Previous AGM minutes from September 2016 were read and approved. Agreed that it would be helpful to discuss with Mr Griffiths and the teachers what is needed from the school with the current funds. Recent bill has been paid for electricity for the outdoor classroom. Discussed IPad covers which has been looked into previously. Mr Griffiths confirmed originally had a good price for them but when he went to order them the price was much more expensive. Discussed that there are currently 16 IPads in school and that although we could source the covers from ebay if we can get a good price, it can be worth ordering through school as the VAT can be discounted. There had been previous discussions around replacing some of the PCs, Mr Griffiths confirmed this hadn’t been progressed. Thanks to the new committee for all their hard work in their first year and also thanks to the support from the old committee. A number of successful events have been held and all the hard work and effort is really appreciated. It has been a pleasure working with the committee and look forward to working with them over the coming year. Similarly, to last year the school Disco’s give us the best profit, £423.81 (after costs), unfortunately we couldn’t hold the summer disco due to timing. Mother’s Day was successful with a profit of £180.92 (after costs). Sadly, Father’s Day didn’t go as well with a £72.13, this was a new event tried out this year, although the children loved it, not the best profit maker for all the effort that went into the event. Bag 2 school was also a new event tried, this went well, giving a £93.20 profit, the cheque will be added to the 2017/18 accounts. Giving machine only made £17.56, might be worth reminding parents to use it. Christmas and summer fairs went well, £1073.77 and £894.36 respectively (after costs), good job everyone, for their hard work and spending. Mr Griffiths and teachers have been asked what they would like to spend the money raised on, I’m sure they will have lots of ideas!! · 50/50 club bank account will need closing as we are not currently using it. 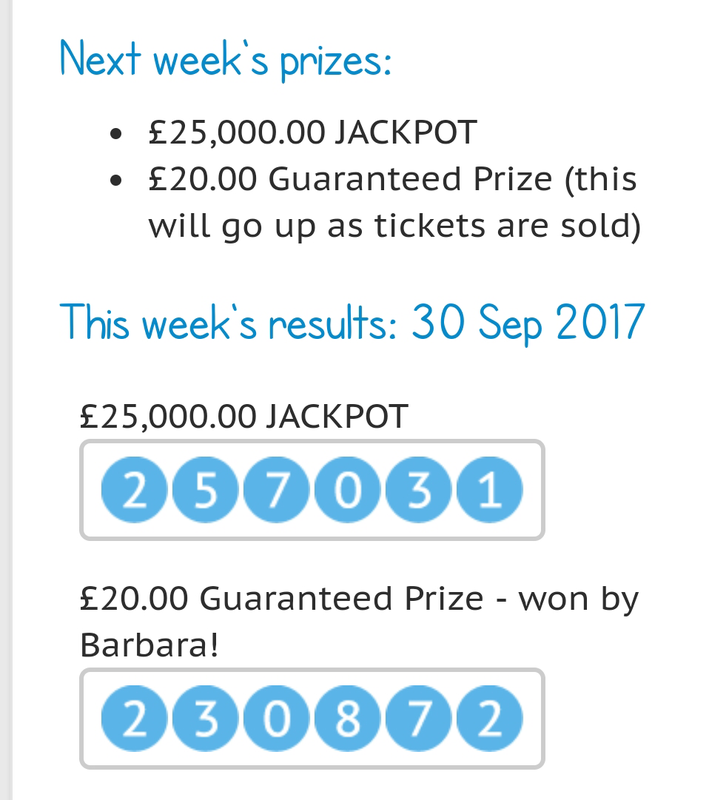 · Your School Lottery- This started this term, we currently have 31 tickets and have made £26.80 so far. The annual prediction currently is £644.80 (higher if more people support). If we want to keep our local prize of £20 we could do we getting some more supporters, as this is likely to go down over the coming weeks. If you would like to buy a ‘one off ticket’ (or a few!!) for the Saturday it needs to be bought by Tuesday that week, also it has been noticed that direct debits are taking some time to sort, just that you are all aware. Need to promote the school lottery, local prize is currently £20 but that is being subsidised and so will reduce over the coming weeks due to the number of supporters we currently have. Agreed need to promote again and ensure that the winner is announced on a weekly basis on a Monday evening via twitter. Mr Griffiths suggested the Friends could set up their own twitter account and it was agreed this would be explored. Discussed the fact that Father’s day secret shop wasn’t very profitable in comparison to Mother’s day. It has been a very busy and successful year. We have had the autumn and Valentine’s Day discos, where the children had a chance to pick their songs and decorate hearts which went into a competition with prizes for the winners. There was a Christmas party day in class arranged by the teachers, and friends organised the prizes for games. The children also had a visit from Father Christmas and the gifts for the children were organised by friends. On Christmas dinner day at school the friends contributed the crackers and gifts. The Christmas Fair was a big success with lots of games, stalls, crafts including children’s handmade baubles, secret shop, face painting/tattoos, and Rotary float with a special guest. We had some great prizes for the Christmas Raffle with generous donations from local businesses and there were also Christmas Hampers raffled at the concerts. The Mother’s day secret shop was very successful and the guess the Easter eggs in a jar competition. Father’s day secret shop was held for the first time. Unfortunately this event was not as successful as we would have hoped. We will probably not repeat this next year but are always open to new ideas. The Freezy pop Fridays made a comeback once the weather warmed up, we had Ice cream at one of them which was a hit! This year’s summer fair was the Whitford Wild West theme and it seemed to be a great day enjoyed by all. We ran the first Bag2school initiative which raised just under £100. We will be holding another one before the end of the year as this proved to be an easy way to raise money for school. We held a future events survey and from this we tried the Father’s day shop and we will review the results again and will be considering an Easter Egg hunt for next year. The new School lottery has replaced the 50/50 club. This has started well but needs promoting to encourage more members. Thank you again to all those who have helped over the year, particularly at the 2 big events which were the Christmas and Summer Fairs. These events require a lot of extra support including behind the scenes help from teachers, class reps and parents. We also have had some very generous donations from parents which have been vital in the success of the events and have helped raise a lot of the money. Bethan Venning and Bethan Hall have both offered any additional support. Next Disco will be held on Friday 20 October after school. Mr Griffiths made a request on behalf of the teachers on the committee considering holding some of the discos on a Wednesday as more teachers would be able to help. Kate Thomas mentioned the possibility of tying up dress down day with discos. Agreed that the valentines disco would be held on the Wednesday 14/02/2018. Mr Griffiths checked the date of the Holywell Town Christmas lights switch on to ensure we were avoiding that date for the Christmas Fair. Lights switch on is Friday 24/11/2017. Agreed to hold the Christmas Fair on Friday 01/12/2017. Mr Griffiths will contact the Rotary club to ask if the float is available for Friday 01/12/17. Bethan Venning suggested that we send out a summary to parents on what money has been raised over the previous 12 months and also what some of the money has been spent on to raise awareness of where the funds are spent. Agreed something would be sent out – LT to draft. Discussed donating a certain amount of the funds to each class and the teachers can decide what to spend the money on and then we can share this with parents. Mr Griffiths asked for committee / parents to think of any experiences which may be available and for suggestions to be made so that options can be explored. Friday 13 /10/2017 at 2.30pm in school hall. First meeting as new committee with focus on ideas and planning for this year’s Christmas Fair. 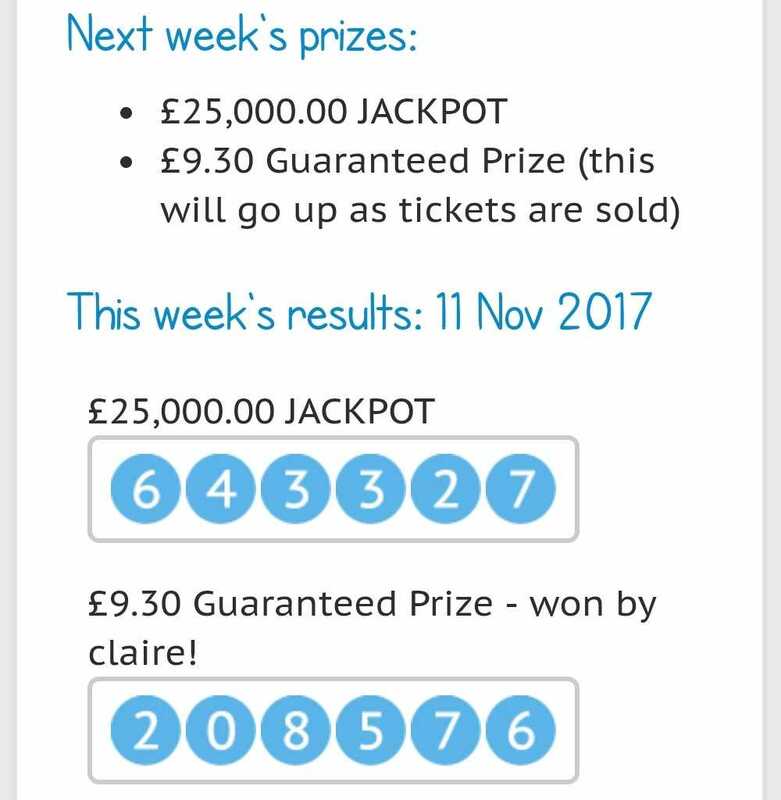 Last week, Mr Griffiths won the school lottery. This week, it was someone else's turn. Congratulations! Have you signed up yet? It's really easy to do and you could be in with a chance to win. We’ve just signed up to a new lottery with ‘Your School Lottery’, which will have its first draw on 9 September 2017. It will then run every Saturday. You can join for as little as £1 per week, and every week someone within our school community will win a guaranteed prize – how much will depend on how many people sign up. 60% of the prize money will be won, with the other 40% going to Friends. As this is a UK-wide school lottery, you’ll also have chance to win an amazing £25,000 every week! There are no restrictions on the amount of tickets you can buy, and you can set up a direct debit or pay weekly (just ensure you buy four days before the Saturday draw). It’s an easy way to raise funds for the school whilst also giving you the chance to win some money, so a win win situation! The more the merrier, so get your family and friends involved too. Thank you for your support and good luck. Please sign up now, the September draw will be upon us before we know it! Look out for the leaflet today and posters will also be displayed in school. You can start supporting by visiting www.YourSchoolLottery.co.uk and search for Ysgol Y Llan. We hope you enjoyed the Summer Fair last week, we were overjoyed that the weather played ball. The Wild West theme seemed to go down well and the children enjoyed themselves, which is always the main objective when we’re planning an event. Thank you for all the lovely comments we received, it really does mean a great deal to us. We had a huge amount of support and help to run the event. A big thank you goes out to those generous parents who donated food, raffle prizes, hay bales, game prizes, ponies, BBQs and their time. Having so many helpers made it a really enjoyable event. We’re happy to say that we made a profit of just over £900 which joins the rest of the funds raised this year, and which we’re sure will be of great benefit to the children and the school in the future. Mr Griffiths and the staff are currently looking at where the money is best spent, and we know that there will be some investments needed next year. As soon as we have confirmation of the resources needed, we will let you know. The school year is ending and with it our fundraising efforts for this year. Thank you to everyone who returned a bag for the Bag2School collection, these have gone off and we are waiting to see how much money has been raised. We also have one last Freezy Pop Sale. When we have the totals from both, we will let you know how much money has been raised in full during this school year. Finally, a special thank you for supporting us in our first year as a Committee. Many of you have willingly given your time and resources to help us, and we’re very grateful. We simply couldn’t have run the events without you. As ever, if you have any ideas for future fundraising events please let us know.